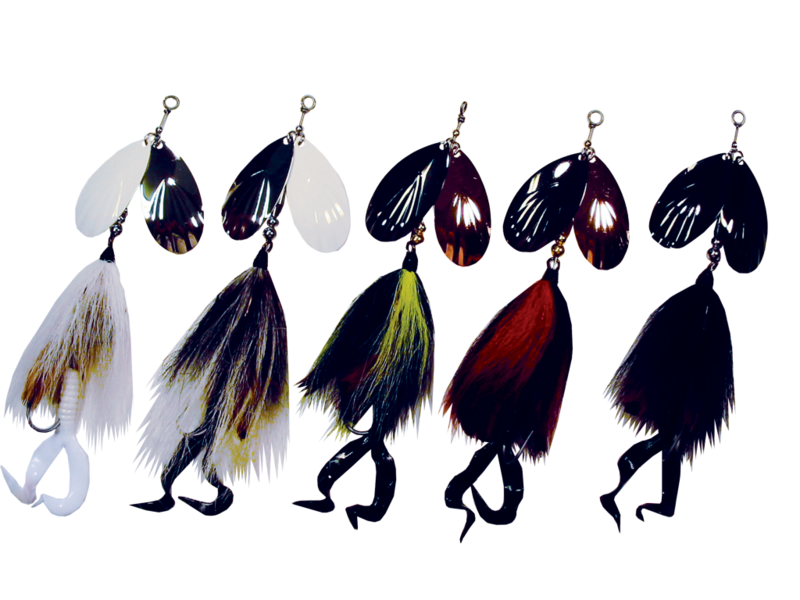 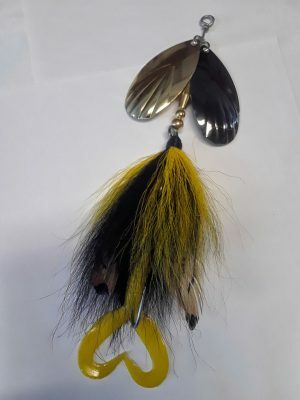 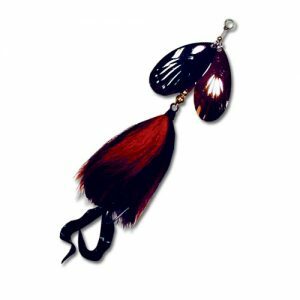 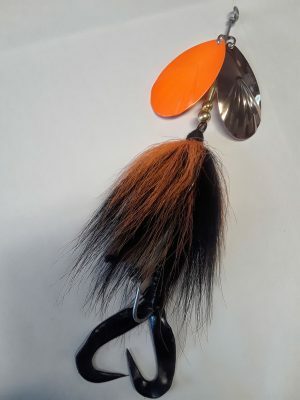 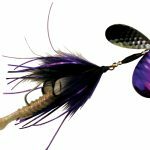 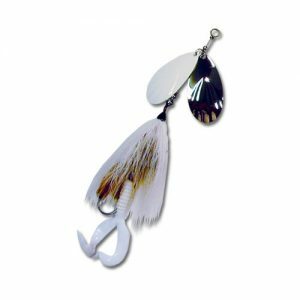 Out of the same mold cast as the original bucktails, with the difference being two #8 fluted blades, and 5 color patterns. 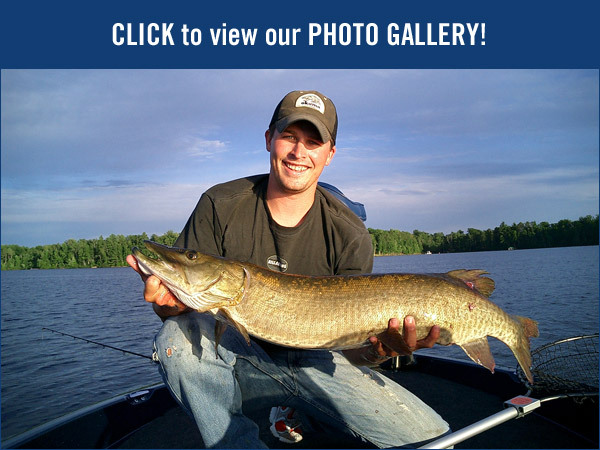 Both of these musky spinning bucktails are made with our new special, ½ ounce keel weights, great for trolling, deep down rigging, or casting, with absolutely no tumble or line twist!! These are the smoothest running bucktails ever, with super lift, and instant blade spin!